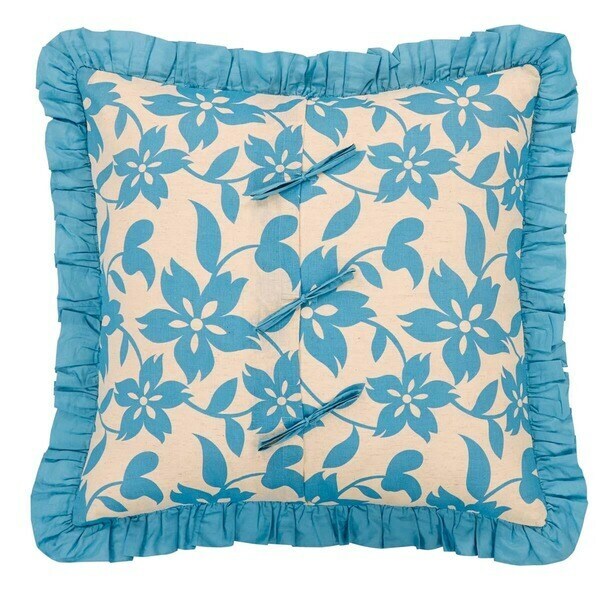 These pillow shams arrived promptly and are just as described & pictured. They are attractive & well made. I am very pleased with them & plan to purchase more! A hand-pleated border in solid blue topaz cotton voile complements the lovely vine-print covering the Briar Euro, with a flat double-sided flange on all sides completing the look.